Scotland is located in the northern part of Great Britain. To get an impression of the country and its culture, see the Scottish Tourist Board's website: http://www.visitscotland.com. Scottish traditions include Scottish dancing, celebrations at the start of a new year (Hogmanay; see: Ideas/Events/December and Ideas/Events/January), and the Highland Games. The Edinburgh Festival in the summer is a very popular arts festival (see: Ideas/Events/August). Music is an important part of the culture. 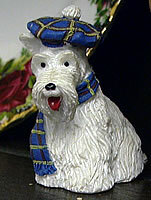 Bagpipes are famous traditional Scottish musical instruments (see picture). Popular Scottish singers or pop groups in recent years the Travis, the Bay City Rollers, Wet Wet Wet, Simple Minds and the Corries. Famous Scottish actors include Ewan McGregor and Sean Connery. 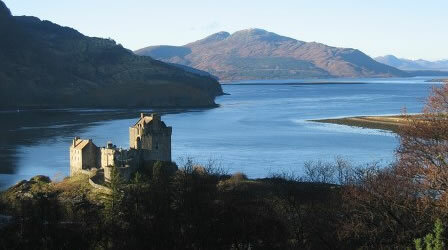 Films set in Scotland include Braveheart, Rob Roy, Local Hero and Trainspotting. The country produces some of the world's finest whisky. There is much beautiful scenery throughout the country, including mountains (including the highest in Great Britain: Ben Nevis), lakes (known as lochs, including the famous Loch Ness), valleys (known as glens) and forests. 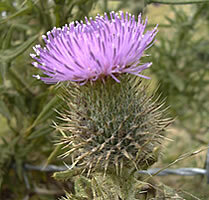 The national emblem of Scotland is the thistle. The patron saint of Scotland is St Andrew; Scottish culture is celebrated on St Andrew's Day in November (see: Ideas/Events/November). Scotland prints its own bank notes: notes printed by the Bank of Scotland or the Royal Bank of Scotland have the same value as those printed by the Bank of England. 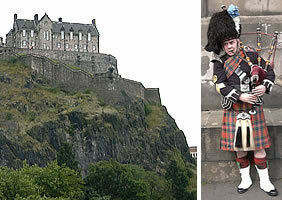 Scotland means the "land of the Scots". The Scots were a tribe of Celts who came in the 5th and 6th centuries from northern Ireland to live in the region. The northern part (the highlands) were inhabited by a tribe known as the Picts. 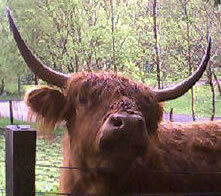 The Romans used to refer to the area as Caledonia. After many years of fighting between England and Scotland, James the First became the king of both Scotland and England in 1603, and there was a formal union between the two countries in 1707, although Scotland kept some parts of its own legal, educational, financial and religious systems. A Scottish Parliament was created in 1999, giving some important decision-making powers to an assembly of politicians who are elected locally. Scottish politicians continue to go to the Houses of Parliament in London, where many decisions affecting Scotland are still made. For more information about the history of government in Scotland, see the Education section of: http://www.scottish.parliament.uk. English is the main language spoken in Scotland, spoken with a wide range of accents. The traditional language spoken in the lowland areas in the south is known as Scots, while the traditional language spoken in the highland areas in the north is known as Gaelic. Current affairs: BBC Scotland: http://www.bbc.co.uk/scotland.